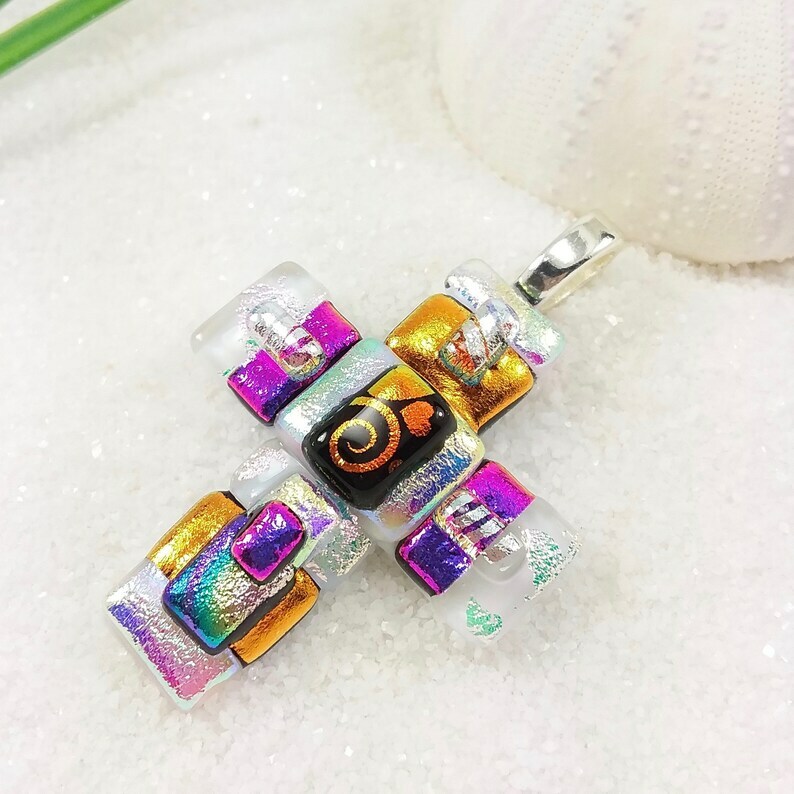 A shimmery rainbow of dichroic glass makes up this stunning cross pendant! Beautiful shimmery rainbows, light pink, light yellow, green, hot pink, silver and orange. The base is pure white glass. Simply breathtaking! You can wear with your favorite chain or cord! (not included).